Itching for a winter family getaway? 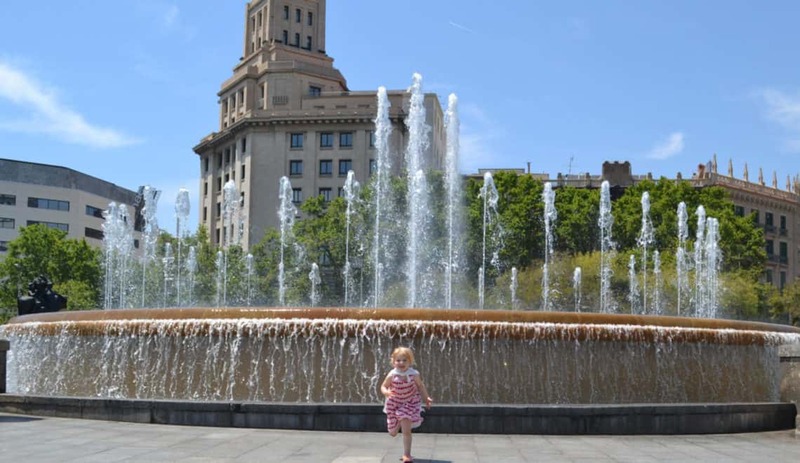 Here’s our top ideas for where to go on holiday in February including destinations in the UK and Europe that you and your kids will love. If you would like some ideas for places to go and things to do then check out my post on fun days out in February half term in the UK. This February half term we will be heading to The Valley in Cornwall to review a stay there. It’s a family-friendly luxury cottage resort with play areas, an indoor pool (as well as outdoor for the summer), a spa pool, and tennis courts. The cottages look wonderful with plenty of stylish touches like high vaulted ceilings and exposed beams, original Cornish artwork and bespoke Italian designed furniture. Some are even dog-friendly cottages too. The Valley is located just five minutes from the Coast to Coast Mineral Tramway cycle route and is close to the Great Flat Lode, the Clay Trails and Cardinham Woods for walking and cycling. It is also within an hour of dozens of Cornish beaches, historic sights like Tintagel Castle, Pendennis Castle and St Michael’s Mount, plus National Trust properties which will be open in February. Find out more on the resort’s website: www.thevalleycornwall.co.uk. 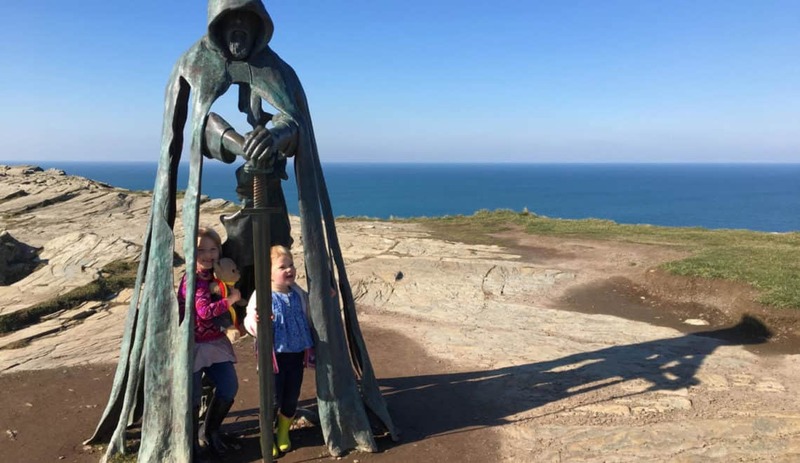 If you’re looking for more places to stay in Cornwall during February half term take a look at our tried and tested Cornish self-catering accommodation recommendations and my guide to family holidays in Cornwall. Or you might like to stay at a family-friendly hotel in Cornwall like Sands Resort Hotel & Spa in Newquay where we stayed last February. Head to the mountains for a ski holiday with the kids. The French and Austrian Alps are ideal destinations for winter sports and you’re sure to find plenty of chalet accommodation options. Find out more about ski holidays in February: www.alpineelements.co.uk. Delve into the underwater world this half term with a trip to Manchester’s Sea Life centre. It’s home to more than 5,000 magical creatures, an ocean tunnel, interactive rock pool and regular feeding shows. Once you’re back above water, kick back and relax at a hotel like the Holiday Inn Manchester MediaCityUK. Superbreak offer prices from £79 per person for one night’s accommodation at the Holiday Inn Manchester MediaCityUK, including entry into Sea Life Manchester. Enjoy 10% off on bookings until 31st January. Valid for arrival on 19th February 2019. Find out more: www.superbreak.com. Lodge at Warwick Castle. Rights Reserved: www.fstoppress.com. Not only can you visit Warwick Castle at half term for the day, you can also stay overnight. Become a ‘knight’ with a short break in the Knight’s Village. Nestled alongside the River Avon in Warwickshire there’s a cosy cluster of lodges providing bed and breakfast within the Castle grounds. Short breaks  include two days entrance to the Castle, car parking, a hearty breakfast  and, for  young guests,  exclusive  entertainment including sword skill and archery lessons. Book before 31 January 2019 and receive up to 30% off stays at Warwick Castle in February half-term and throughout 2019 with the Castle’s Early Booking Offer; rooms start from £43 per person based on a family of four sharing a Woodland Lodge. Find out more: www.warwick-castle.com. Enjoy the first signs of Spring from a luxury camping cabins nestled between the North Yorkshire Moors and Yorkshire Dales. Wigwam® Holidays Sedgewell Barn is a family-orientated glamping site that also welcomes dogs. It’s based on a small working farm, with good access from the A1 and a lovely pub within easy walking distance – perfect! And there’s no need to worry about having to make a chilly mid-night walk to a toilet block as all the glamping cabins are en-suite. 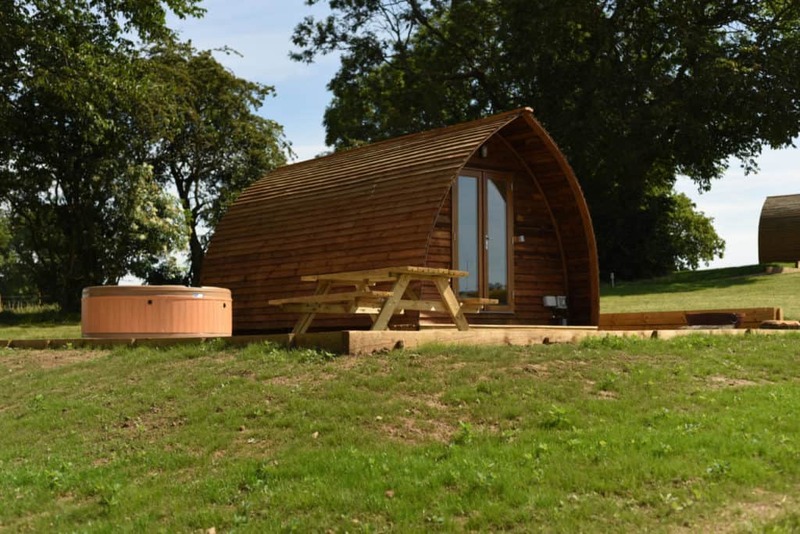 Four even have hot tubs if you want the ultimate luxury glamping experience. LEGO fans won’t be able to resist a half term getaway at the LEGOLAND® Windsor Resort Hotels between 15 – 23 February 2019. Junior Builder Week 2019 is an opportunity to stay at one of two hotels and indulge in all kinds of building activities with LEGO® bricks. There will be LEGO workshops, fun family activities and treasure hunts. They’ll also be able to access the LEGO lounge, with LEGO Brick pits, a Movie Den screening a host of LEGO themed films and a LEGO Gaming area. Wrap up the day with a meal in one of the themed restaurants. Prices start from just £48pp, including an overnight stay, breakfast and activities at the unique LEGOLAND Hotel or the LEGOLAND Castle Hotel. Please note: the LEGOLAND theme park is closed during February half term. Find out more at www.legolandholidays.co.uk*. Ok, so it’s probably not possible to totally avoid the crowds in Rome regardless of the time of year. However, Mr Tin Box took a trip there last February to see a Six Nations rugby game. In-between the sport he got to see a few sights and there was much less competition for vantage points and tours. Another fantastic Italian spring destination for families is Florence. Enjoy wandering the slightly less crowded streets, go on a kid-friendly tour of the Uffazzi, and learn to make gelato. The weather wasn’t particularly great when I visited in March 2018 but apparently that was very usual. Spring comes sooner to Florence than here in the UK! Maybe you’ll have more luck than me! Read more about things to do in Florence if you enjoy guided tours or if you would prefer to explore Florence with kids on your own. If a group stay in Tuscany takes your fancy then have a read of my Bookings For You villa review. Step back in time and uncover York’s dark and dangerous history. There’s tonnes of spine-chilling immersive activities throughout the attraction, including the Labyrinth of the Lost and encounters with characters from the city’s past, Guy Fawkes and the Plague Doctor. After experiencing a real-life history lesson, head back to a hotel like the Queen’s Hotel for an overnight stay in the beautiful city. Superbreak offer prices starting from £59 per person for one night’s accommodation at the Queen’s Hotel, including entry into York Dungeons. Enjoy 10% off on bookings until 31st January, 2019. Valid for arrival on 19th February 2019. Find out more: www.superbreak.com. February is a wonderful time to head to Wales and enjoy its rugged coastline and countryside. We have spent weekends in Glamorgan and Swansea Bay out of the main holiday season. 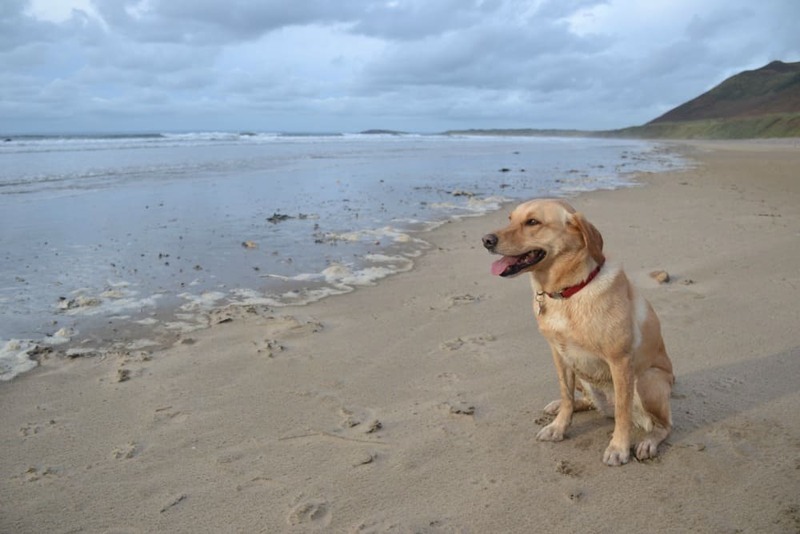 Dramatic beaches like Dunraven Bay and Caswell Bay allow dogs in the winter season and the amazing Rhossili Bay welcomes them all year round. There are also plenty of things to do throughout the year. We can recommend visiting the Amelia Trust Farm with young children, Oystermouth Castle for your history fix, and Swansea for plenty of things to do with kids of all ages. Find out more about our short break in Glamorgan or our weekend in Swansea Bay. Don’t forget to check out my post on fun days out in February half term in the UK, including days out and family attractions. Disclosure: This post may contain compensated links. Ski picture sourced from Pixabay. This post also contains affiliate links marked with *. If you click on one of these links and make a purchase I may make some commission. This does not affect the price you pay. Still undecided about where to go on holiday in February? Pin this post and come back to it later for family getaway inspiration. I’m so pleased that Cornwall is on your list as that’s where we’re headed. It’s snowing in the North East today though and now I have visions of climbing St Michael’s Mount in a blizzard! LOL!